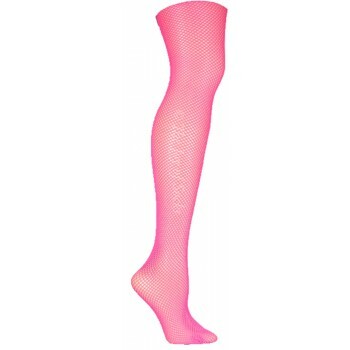 Nylon fishnet pantyhose in the perfect color for that final look to your costume. 100% nylon. Neon pink.